North Carolina is a sprawling state. Tucked away in its mountainous passages are gorgeous villas, famous ski resorts, acclaimed hiking trails, and sprawling lakes. One of the state’s highlights is Sugar Mountain. Sugar Mountain is tucked away in the Blue Ridge North Carolina Mountains. On paper, Sugar Mountain is a small and tidy town, with a population of only a few hundred people across about 2.4 square miles. But it is more than a hidden village. Many thousands head to this resort town each year to enjoy skiing, tubing, snowshoeing, shopping, dining, holiday activities and many other wonderful things to do. But before we get to enjoy the attractions, you have to get you there first. 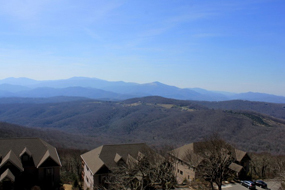 Venture off the Blue Ridge Parkway and you’ll discover amazing views just like this one on the top of Sugar Mountain. You can see multiple mountains and states from here. Sugar Mountain forms the top part of a triangle, with Asheville, NC on the bottom left and Charlotte, NC on the bottom right. Asheville is about an hour and a half away and Charlotte is about two and a half hours away. Drivers from Asheville will rely on Route 40 and US-221 N, while the trip from Charlotte will take you primarily on US-321. You can find an incredible breadth of things to do in western North Carolina by just staying within this triangle of attractions. The region is known for some wild natural adventures, including horseback riding, rock climbing, waterfall hiking, and cavern and mine exploration. 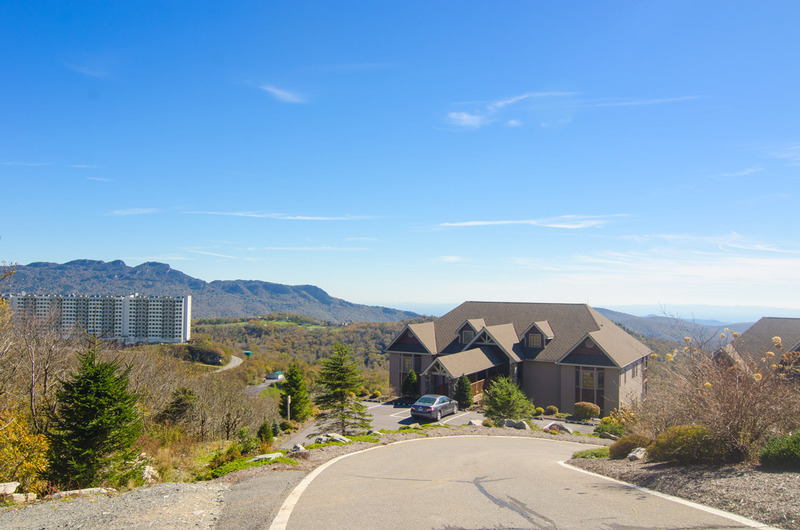 The road to Sugar Mountain is well-maintained and takes you past the golf course, scenic cabin rentals and all the way to Sugar Mountain Ski Resort. 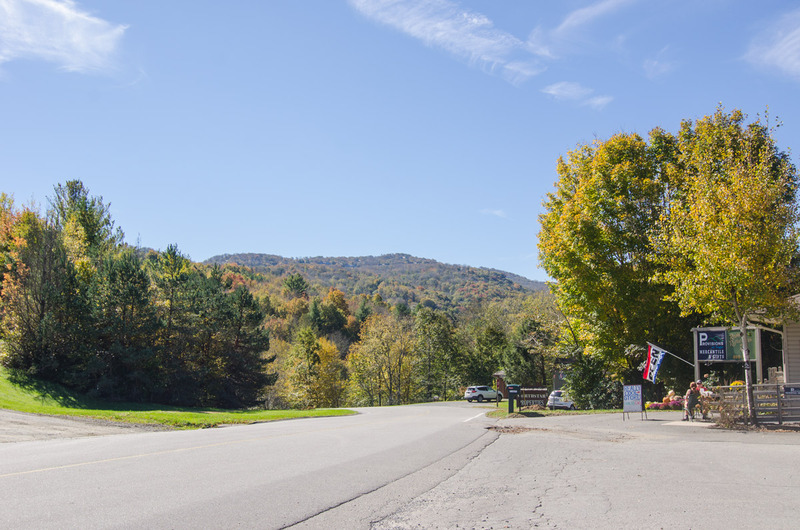 When you get close to Sugar Mountain, your closest town landmark is only a brief drive away. The closest major town is Boone, NC. Sugar Mountain is about 30 minutes southwest of Boone, about 16 miles. Visitors from Boone will use NC-105 south for the duration of the trip. 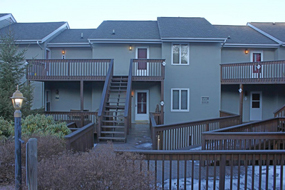 It is very easy to stay in one of our Sugar Mountain vacation rentals and visit Boone, NC, for more than just a day trip. This leads into the endless adventures of Sugar Mountain for a great week or weekend of fun with the family. Many consider Sugar Mountain to be the best skiing in North Carolina. What is Sugar Mountain famous for? Fortunately, visitors have an assortment of enthralling natural attractions to check out. 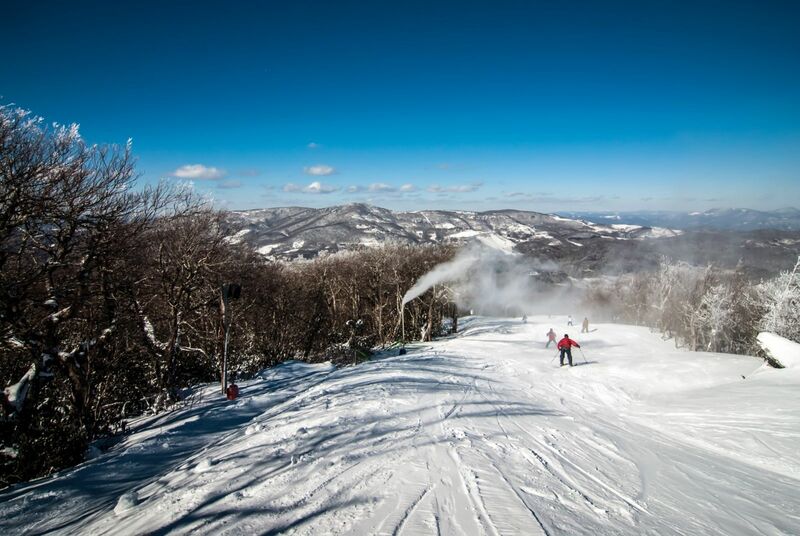 The most popular is, without hesitation, the Sugar Mountain Ski Resort. 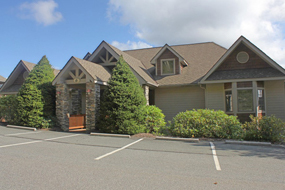 The resort is home to rich skiing opportunities and various ski trails. The slopes offer a nice entry-point for enthusiastic winter sports fans, but the ski trails provide a more delicate and challenging course. If you want to stay off the slopes, in whatever form, you can keep it simple with the outdoor ice rink. At least it is on flat land. Sugar Mountain is also near Grandfather Mountain. The area has some jaw-dropping sights, most notably the Mile-High Swinging Bridge. This breathtaking bridge rests a mile above sea level. It is currently America’s highest suspension footbridge. 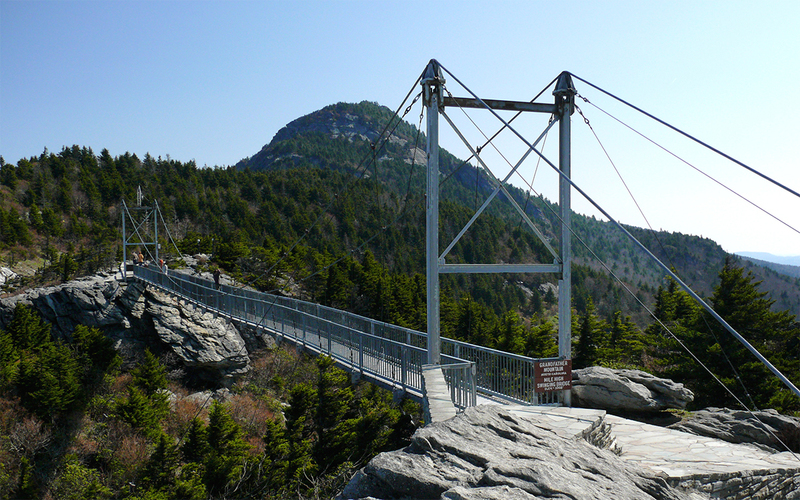 Are you brave enough to walk across Grandfather Mountain’s famous swinging bridge? Grandfather Mountain is about 20 minutes southeast of Sugar Mountain. You will have to head almost directly south along NC-105 out of Sugar Mountain and then back up northeast on US-221, almost circling around the mountain, to get to the main park entrance. You can also take a brief detour near Blowing Rock, NC. Blowing Rock is a small village with some quaint museums and beautiful views. But it has earned its notoriety for an iconic and sweeping rock point formation. 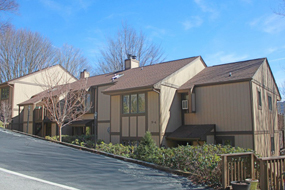 You can stop by Blowing Rock to see stunning views of Johns River Gorge. Blowing Rock is about 30 minutes east of Sugar Mountain. It is actually a nice detour on your way to or from Sugar Mountain from Boone, NC. Learn more about this quaint mountain town on Southern Living’s website. Sugar Mountain, NC is a hidden treasure of North Carolina. Grandfather Mountain is a spectacle of wonder. Blowing Rock is a hidden gem and top destination for excited hikers and other outdoor activities like fly fishing. The ski resort on Sugar Mountain alone offers endless opportunities for adventure, yet so much more awaits. Book Sugar Mountain rentals any time of year!